Are you missing teeth and need to replace your full upper or lower teeth? Are you nervous about having dentures? AvaDent from Dr. King Scott’s dental office could be a great solution for your smile. AvaDent are custom made, digital dentures that allow us to restore your smile after only two appointments. Dr. Scott will take an impression of your mouth and use AvaDent’s Anatomical Measurement Device to collect all the information needed to create your dentures. This information will be sent to AvaDent who will enter it into a computer and create a digital record of your smile. This digital information will be used to design dentures that are perfectly suited to your smile and your needs. Once designed, your dentures will be milled and when you come back for your second appointment they will be ready for you to wear. Since the information is all digital, it will remain on file so if you need dentures made again in the future, the information will be there, ready to go. Thanks to advances in dental technology, we can now provide you with better fitting dentures than ever before. AvaDent is a great way to restore your smile and feel comfortable at the same time. 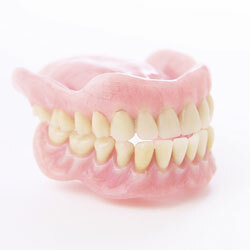 We want our patients who wear dentures to feel confident and smile proudly. Call us or visit AvaDent to learn more. Dr. King Scott’s West Monroe, LA dental office wants all our patients beautiful, healthy smiles. We serve patients from Monroe, Ruston, Rayville, Farmersville, Columbia, Winnsboro, Delhi, South Arkansas, and all of greater North Louisiana. Call us today to schedule an appointment!